Bjorn Tremayne's reign is over. But he has a plan: Dark World has set a bounty on Sabrina's head, and he needs to get her away from the only vampire who protects her: Vasyl. Sabrina wanted to enjoy a pleasant Thanksgiving with her family, with no vampires, werewolves or demons. But after a demon attacks her at the family gathering - and Bill Gannon saves her - she is whisked away by Tremayne and his accomplice. 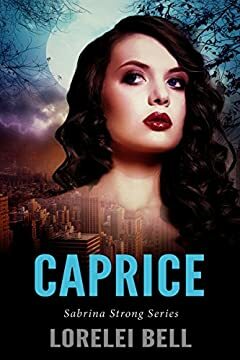 With the future of the whole Nephilim race at stake, can Bill get to her in time... or will Bjorn Tremayne claim Sabrina for himself? â˜…â˜…â˜…â˜…â˜… - "If you want a book or series to read that will keep your interest up, this is the one." â˜…â˜…â˜…â˜…â˜… - "Great story and characters that steal the reader's attention. Love this series.